Kitchener GO train riders will see changes to their afternoon commute starting Wednesday. It includes the 4:50 p.m. express train being reinstated, along with new times for two other trains and new platforms. 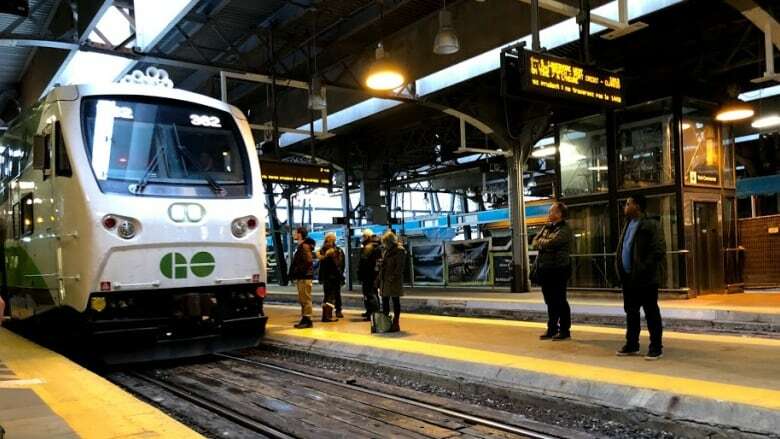 Afternoon GO train trips on the Kitchener line will be departing from different platforms starting on Wednesday, Metrolinx announced. 4:13 p.m. train from platform 24 will no longer stop at Bloor or Weston GO stations. 4:32 p.m. train from platform 24 will no longer serve stops beyond Bramalea GO station. 4:50 p.m. train from platforms 11 and 12 will operate express to Bramalea then make all stops to Kitchener. There is no time change to the 5:27 p.m. and 6 p.m. trains, which make all stops. They will leave from platforms 11 and 12. Metrolinx noted platforms six and seven at Union Station will be closed for the next four months to install new platform lighting, electronic signs and a new PA system in the train shed. Staff and safety officers will be on hand to help riders get to the correct platform on time. The changes will also impact the Barrie and Lakeshore West lines, which means 30,000 riders will be switching platforms and there may be some confusion, said Metrolinx spokesperson Amanda Ferguson. "They have their commute memorized and that includes the platforms. A lot of them don't even check the screens before they head out for the day," she said, noting people can plan ahead and learn about the changes to prevent problems. "It's really important that they leave extra time, they plan their commute and they check the boards before they go up there so they can get to their train safely." Ferguson noted with a winter storm in the forecast for Tuesday, it could impact the commute on Tuesday and Wednesday. She suggested people check the GO Transit website or GO Alerts for updates. An earlier version of this story contained incorrect information about stops for the 4:13 p.m. train and the 4:32 p.m. train.